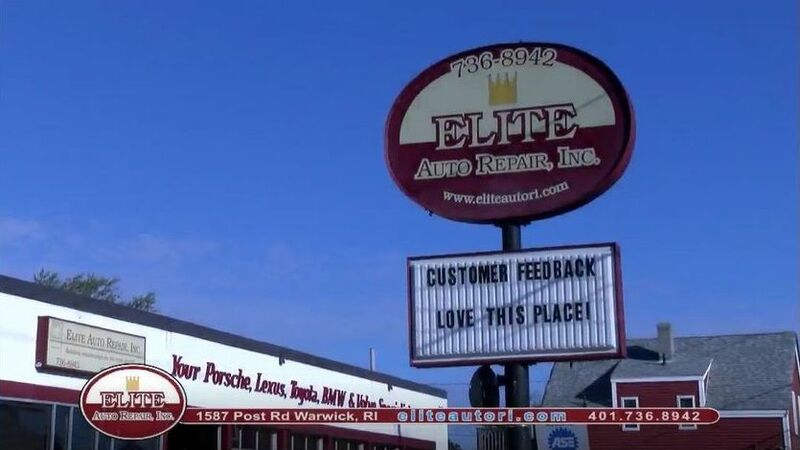 These people at Elite Auto Repair service center are the best and most honest people to deal with. Without a doubt, I will go back there whenever I need service again. And will make it a point to send as many friends I can to them. Thank You. Very professional and courteous, I would highly recommend them to friends and family. coverage on WPRO News Talk 6:30AM and 99.7FM. No one knows YOUR BMW like Elite! We have the latest in diagnostic equipment, providing all the capability of a dealership. Our Master Technicians are up-to-date with the latest information, training and certifications to properly diagnose and repair your BMW. Elite Auto Repair is YOUR Volvo Specialist, providing highly-skilled Technicians who utilize the latest in diagnostic equipment. Elite-trained Technicians repair and service YOUR Volvo, and provide these services with ethics, honesty and integrity. Jim has been involved with Toyota since 1984 and with Lexus since 1990 – 60 combined years of experience! I guess you might say we know Toyota and Lexus well. Elite uses a TIS, Toyota Information System. With TIS being the same system used by Toyota dealerships, Elite has access to service bulletins, recall announcements, active testing and everything else need to service YOUR Toyota and Lexus! Keep your GREEN machine on the ROAD! Do not trust your Hybrid Automobile to just ANY Technician. The Hybrid Certified Specialist at Elite Auto Repair has graduated from a Hybrid Technology class called “Up Your Voltage”. The class provided hours of extensive hybrid training. Elite is proud to soon have one of the few Master Certified Hybrid Vehicle Technicians in Rhode Island. We are investing in the future! From air cooled to liquid cooled, we are YOUR Porsche Specialist. Don’t let YOUR Air cooled Porsche sit at the dealer waiting to be serviced while the driving season is melting away! From general maintenance and check-over’s to IMS bearings and track inspections, we have 2 Porsche Technicians to get YOUR Porsche road-ready! Elite has a passion for cars, which means we are excellent at fixing any vehicle. If you have a vehicle in need of repair, don’t be afraid to call us. We repair many other makes and models – and we do so in a fast, efficient and cost-saving manner!